Ben Watkins will for sure be reminded as one of the pioneers of goa-trance music. The last full length of Juno Reactor (cf. “The Golden Sun Of The great East”) was one more master piece in his long career and maybe one of his best work ever. The album has been now remixed revealing 10 terrific pieces. We asked a few questions to this living legend. 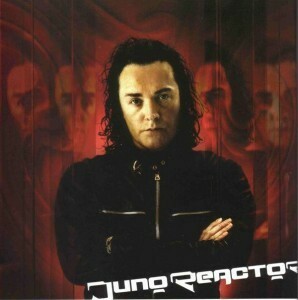 SL: Both last Juno Reactor albums have been remixed. What do you like in this concept and why did it take nearly 2 years after the release of “The Golden Sun Of The Great East” to accomplish “The Golden Sun… Remixed”? Ben Watkins: I have only remixed “The Golden Sun Of the Great East” as a complete album, the other remix albums have been a mixed bag… I write albums more for listening and less for out and out dance floor, so it was a good way to bring all of these tracks to the trance floor, with these very talented artists. As for the time… I did not think of this until a year ago, and it takes time if you want it done well, to choose the artists I prefer to do it naturally by meeting them on gigs etc, hearing their sets and asking if they fancy doing a remix. SL: I’ll not ask you for your favorite remixes, but are there some elements featured in the remixes you would have liked to add in the original versions of some songs? Ben Watkins: I think I would have loved to had “Zombie” pumping the way GMS did… and also the added guitars on the “Guillotine”-mix are great. SL: Don’t ask me why, but I experienced “The Golden Sun Of The Great East” as a kind of 2015-adaptation of “Bible Of Dreams” (which I think remains your ‘opus magnum’)! How would you compare both releases and you evolution as musician/producer from the 90s till today? Ben Watkins: I am happy you feel this way… “Bible Of Dreams” was such an easy album to make, everything flowed in one direction, with “The Golden Sun Of The Great East” I went to extreme lengths to find new people and uncover music I felt I hadn’t touched on before, like the wonderful voice of Hamsika Lyer or trying out 5 singers on “Trans Siberian”, recording the “Invisible” vocal in Mumbai taxi, setting up recording sessions in Bombay for sitar and percussion… “Bible Of Dreams” I had it all mainly in London. “Bible Of Dreams” is on the cards for a remix album, whether I do it or do it in collaboration with new producers, I think it will be a good project. SL: Ben, you’ve accomplished a lot of ‘big’ things… like multiple successful albums, numerous great live performances, composing soundtracks, working with numerous great artists etc… so what would be the ultimate dream and how would you be reminded as an artist? Ben Watkins: My ultimate dream would be to spend the rest of my life doing what I am doing now, touring, writing for films and recording. It is not an easy existence but it is my oxygen, meeting people and collaborating.